The Beaver Falls Community Development Corporation is a natural partner to the City House since both Wendy Whelpley (City House Director) and Brad Frey (City House Faculty Liaison) have been instrumental in forming the organization. 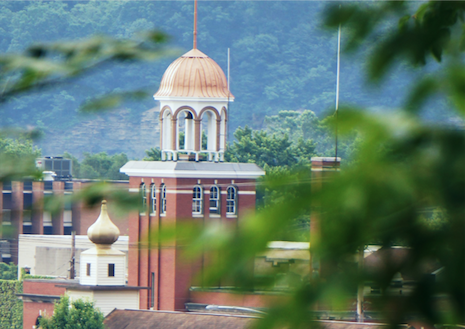 The CDC is committed to the revitalization and development of Beaver Falls, making it a better place to live, work and do business. This partnership provides City House students an opportunity to learn about community development projects in Beaver Falls, offer feedback or suggestions, and invest themselves in the health and vitality of our city. Each member of the City House further contributes to the community and gains a rich understanding of our context by serving at the local soup kitchen. Each month, the City House students plan, cook, and serve the weekly meal. In past years, students have also volunteered at a nearby nursing home, Tiger Pause (youth ministry), the Center for Creative Arts Expression, Habitat for Humanity, and TRAILS Ministries which includes Angel Food (food distribution program), a men’s Bible study, Amachi, the Carnegie Library and Big Brothers Big Sisters.